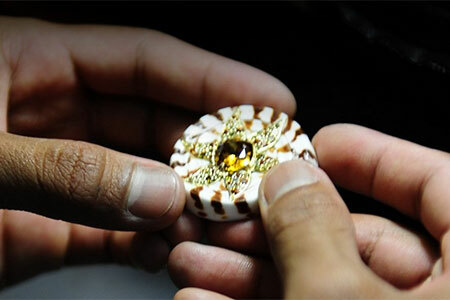 Take a tour of the famous John Hardy Jewelry Factory and watch talented designers and skilled local artists conceive and create jewelry pieces. Explore the tranquil organic farm and then join the staff for a traditional and delicious Balinese lunch, prepared by a five-star chef and served under the shade of a Banyan tree. Afterward, guests will have the opportunity to browse the displays of beautiful jewelry in their Kapal Bambu showroom, and make a purchase if desired. This breathtaking piece of land is dedicated to sustainability, and even has a Hindu temple on site. This tour will not soon be forgotten, and should not be missed.